QSFP to CX4 cables use cutting edge technology to provide a cost effective high-speed interconnect solution. At 3 times the port density of a standard SFP plug, the Quad Small Form-Factor Pluggable (QSFP) interface provides the low profile, high bandwidth, reduced power cost needed for HPC super computers and large data centers. 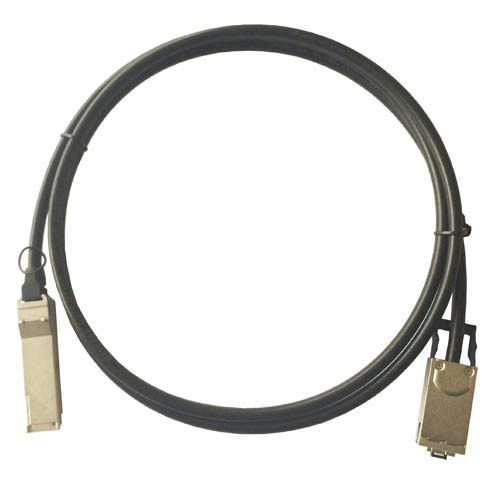 These cables feature a QSFP+ zinc die cast SFF-8436 connector on one end, and an external CX4 SFF-8470 with a pull latch connector on the other end. The cable is built using high speed 26AWG and 28AWG wire.